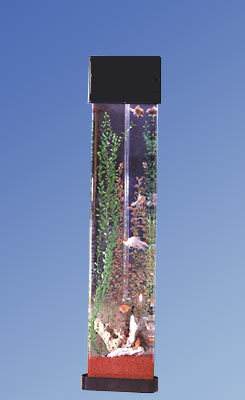 AquaTower Acrylic Aquariums for Freshwater Aquarium & Saltwater Fish Tank Applications. 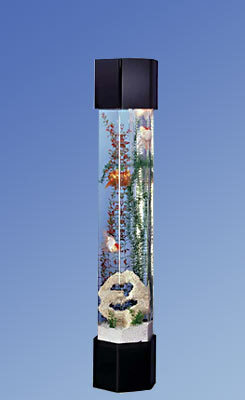 Please Note: All Midwest Tropical Fish Tank Aquariums are Manufactured to Order. Please Allow 2 to 3 Weeks for Delivery. Thank you. 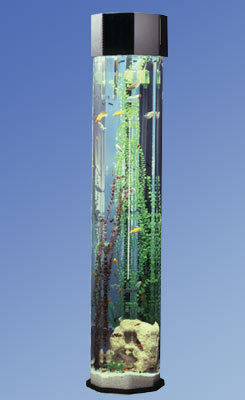 AquaTower Aquariums are not your every day run of the mill fish tanks. 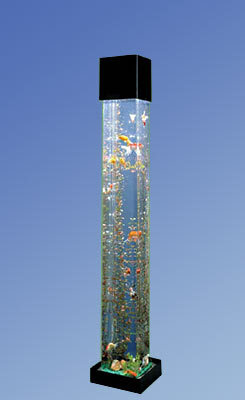 These custom designer column aquariums continue to be a favorite among aquarium enthusiasts. The continuous flow of air bubbles from the bottom mount air pump unit transforms these beauties into an ever changing aquascape right before your eyes. 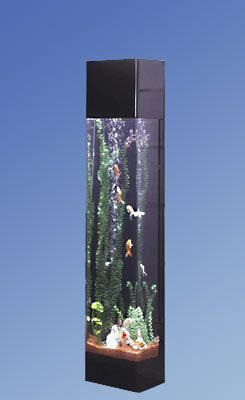 Aquatower Aquarium Systems allow for maximum viewing angles while taking up minimum precious floor space. 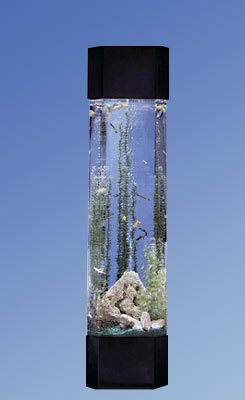 These elegant tower aquariums are so easy to maintain they are nearly maintainence free. Aquatower aquarium's high-capacity filtration system is ideally suited for both Freshwater Aquarium & Saltwater Fish Tank Applications. Available Hood Clock Option Featured on Some Models. 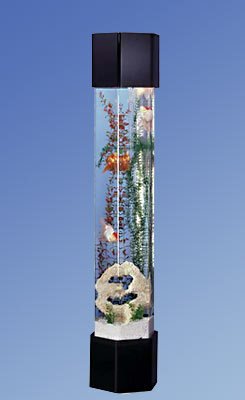 The Look of a Custom Aquarium Without the Price.